Ashish Bhatia is the Assistant Dean of Students, Engagement, & Innovation in the Undergraduate College. In his role as Assistant Dean, he manages the Office of Student Engagement (OSE), which plays a critical role in supporting a vibrant community for the more than 2,500 students. In collaboration with leading industry partners, OSE provides professional development programs that help students explore and prepare for their careers and connect with alumni. OSE also manages the Cohort Program that prepares students for leadership roles by fostering emotional intelligence and innovative thinking. Prior to joining Stern in 2015, Assistant Dean Bhatia worked as a market economist and policy advisor for 14 years. He started his career in bank regulation at the Federal Reserve Bank of New York and then worked as a portfolio manager in the Markets Group—where he managed foreign currency reserves for the US Treasury Department and the Federal Reserve. After the Fed, he was Director of Central Banks & Public Policy at the World Gold Council, where he was responsible for developing research on foreign reserves management and building relationships with global central banks. Working with faculty at the UC Berkeley HAAS School of Business, he developed and directed the Executive Program in Gold Reserves Management. Assistant Dean Bhatia is a member of the Economic Club of New York and an Adjunct Professor in the Business & Society program. He is an alumnus of the NYU Stern Undergraduate College, receiving his Bachelor's in Economics and International Business. He received his Master's in Arts in Law and Diplomacy from the Fletcher School at Tufts University and is currently pursuing a Doctorate in Higher Education Management from the University of Pennsylvania. Akiko Yamaguchi serves as a Senior Associate Director in the Office of Student Engagement. Her primary responsibilities include overseeing the social and community building programs, planning various school-wide programs, and implementing diversity and inclusion initiatives. Prior to joining NYU Stern, Akiko worked at NYU School of Medicine where she oversaw professional and social programming along with new student orientation. Her background in Higher Education began in Residence Life and she has served in various Residence Life capacities at Vassar College and the University of Southern California. Akiko graduated from the University of California, Irvine with a B.A. in International Studies and holds an M.Ed. in Postsecondary Administration and Student Affairs from the University of Southern California. Akiko is originally from Tokyo, Japan and during her spare time, can be found walking her dog, visiting museums, and working on graphic design projects. Kimberly Maes serves as a Senior Associate Director in the Office of Student Engagement. She is responsible for overseeing professional and career development programs, as well as corporate partnerships for the Stern Undergraduate College. Prior to joining Stern, Kimberly worked at NYU Tisch where she advised undergraduate students, managed graduation services, and oversaw special events for the Department of Drama. Her higher education career began at the University of Southern California, where she accrued experience in academic advising, study abroad, undergraduate research, and retention. Kimberly graduated from the University of Southern California with a B.A. in Theatre Arts, holds an M.A. in Higher Education and Student Affairs from NYU Steinhardt, and is currently pursuing her M.B.A. at NYU Stern part-time. She loves to travel, dance, and spoil her dog, and always seeks new and exciting experiences. Karen Lee is as an Associate Director in the Office of Student Engagement and serves as an advisor to Stern's clubs and oversees leadership development for student leaders. Karen graduated from Stony Brook University with a B.S. in Psychology. Prior to joining Stern, she worked with the offices of Multicultural Affairs and Student Activities at Stony Brook University as an advisor to student organizations and coordinator of multicultural programs. Her background in higher education is shaped by the experiences she has gained working with students throughout the different stages of their college careers. In addition to student leadership and activities, Karen has been involved in the areas of admissions, orientation, and academic advisement. Karen enjoys traveling, exploring other cultures, and is motivated by new experiences. 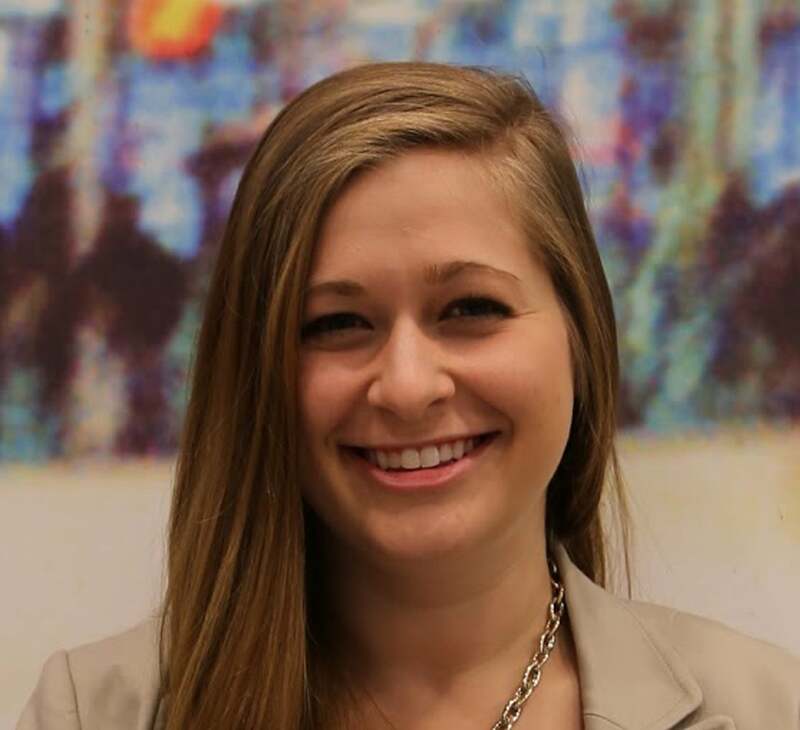 Rachel Shapiro serves as an Associate Director in the Office of Student Engagement. She is responsible for social programming for Stern undergraduates, including the planning of Orientation, Block Party, Passport Day, and Baccalaureate. She is also the adviser to Student Council and manages a mentorship program for undergraduates and MBA students. Prior to joining the Office of Student Engagement, Rachel served as Assistant Director of the M.S. in Business Analytics program in Stern's Office of Global and Executive Education. Rachel graduated from Colgate University with a B.A. in Psychology and Philosophy, and from NYU Steinhardt with an M.A. in Higher Education and Student Affairs. She is currently pursuing her EdD in Higher Education Administration at NYU Steinhardt. In her spare time, she enjoys traveling, reading, and exploring NYC. Mandy Lancour serves as an Assistant Director in Stern's Undergraduate Office of Student Engagement. Mandy is responsible for overseeing professional programming. Mandy is a transplant from Athens, GA where she received a B.S. in Psychology and a B.A. in Sociology from the University of Georgia. There, she researched spatial and relational reasoning and visual attention of capuchin monkeys in the Primate Cognition and Behavior Lab. She also worked as a Teaching Assistant with Discover Abroad, a sustainability-based study abroad program traveling to New Zealand, Australia and Fiji. Mandy is enthusiastic about meeting new people, reflective thinking, and continuing to explore the world around her. Katie Anderson serves as an Administrative Aide in the Office of Student Engagement. Katie is responsible for supporting professional programs and communications from OSE. Katie is a proud graduate of Stern where she concentrated in Business Economics and minored in Math. In her time at NYU, she held various positions in residence life and was a three-time Stern Orientation Leader and CLP Guide. As an Admissions Ambassador, she gave more than 200 NYU campus tours and loved almost every single one. In her free time, she loves reading, needlepoint, and writing comics about her adventures--both real and fictional. In 2016, she won second place in the NYU Stern March Madness bracket challenge. She has also appeared on Google Street View. She's absolutely thrilled to be part of the OSE team! Mary Mun serves as an Administrative Aide in Stern's Office of Student Engagement, where she is responsible for supporting social programming. Mary is a recent graduate of NYU Steinhardt, where she majored in Global Public Health and Applied Psychology. During her time at NYU, she loved being a Resident Assistant at Palladium Hall, working as a Student Assistant at Stern's EMBA Admissions, and serving the New York community through her service group, Alpha Phi Omega. In her free time, Mary can be found enjoying cardio dance classes, sipping on boba tea, or playing with dogs. She's so happy to continue working with undergraduate students at OSE! Fatima Chishti serves as a Graduate Fellow in Stern’s Office of Student Engagement, where she is responsible for supporting the professional programs. She is also pursuing her M.A. in Higher Education and Student Affairs at NYU Steinhardt. Fatima is a graduate of the University of Illinois at Urbana-Champaign where she obtained her degree in English and secondary education. After graduation, Fatima spent six years working as a high school English teacher in a diverse Chicago suburb. Prior to taking on the role of Graduate Fellow, Fatima mentored novice teachers, built school culture, and designed progressive curriculum through New York City’s charter school network. An avid traveler, Fatima’s most memorable trip was a two-week educational tour of England with her AP Literature students. Her move from Chicago to the Big Apple has left her longing for kitchen counter space, but luckily the restaurant selection in Queens has yet to disappoint! Nathan Faust serves as a Graduate Fellow in Stern’s Undergraduate Office of Student Engagement on the Leadership team. Nathan is helping with the advisement in clubs and is the direct point of contact with Stern’s Undergraduate identity-based clubs. Nathan is pursuing his M.A in Higher Education and Student Affairs at NYU Steinhardt. Nathan is a recent graduate of NYU and received his B.A in Individualized Study from the NYU Gallatin School of Individualized Study where he created the concentration of Cultural Development and Social Preservation. Nathan got his start in student affairs through hall council and residential life as a first year student, getting progressively more involved through the Inter-Residence Hall Council, the Student Senator Council, and finally becoming a Resident Assistant in his senior year at Founders Residence Hall. His goal in student affairs is to become a true advocate for students and student life, using his background in advocacy, policy work, and activism both at NYU and through his previous internship at GLAD. In his spare time, Nathan enjoys studying geography, listening to and discovering new music, and trying out new recipes in the kitchen with friends. Denise Remedios serves as the Graduate Budget Assistant in Stern’s Undergraduate Office of Student Engagement where she is responsible for overseeing the budgets for student clubs. Denise is also pursuing her M.A. in Higher Education and Student Affairs at NYU Steinhardt. Denise is an NYC native and received her B.A. in Arts and Science with a concentration in Sociology from SUNY Oswego. During her undergraduate career, she joined a Latina-oriented Sorority and was heavily involved in several culturally based student organizations on her campus which sparked her passion for student involvement. After graduation, Denise spent 4 years working in a middle school in the Bronx maintaining student records, translating parent meetings and teaching College and Career Readiness to 8th grade students in an after-school program. She also focused on traveling and checking off dream destinations off her "Travel List." 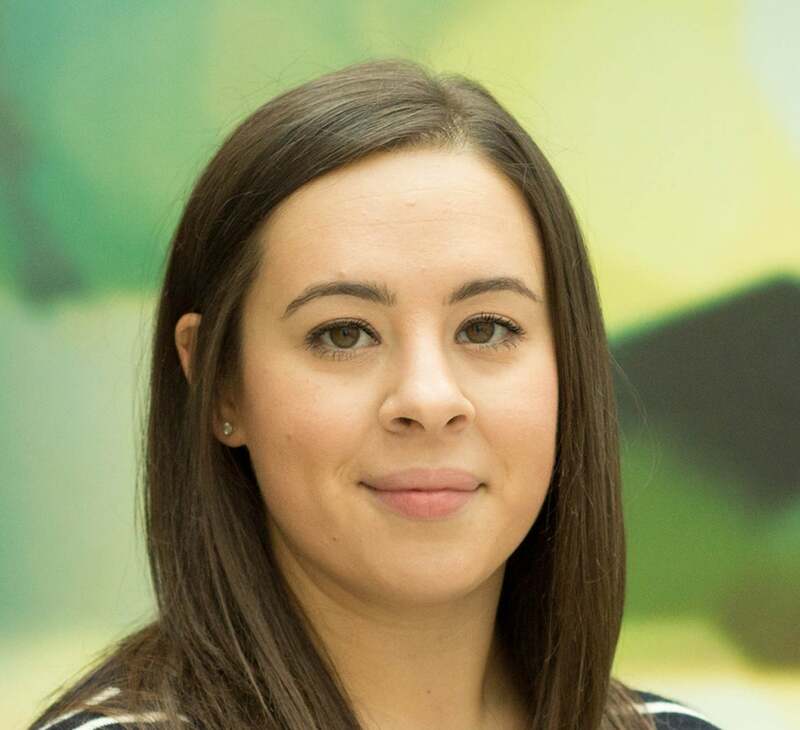 This allowed her to connect with Student Affairs professionals around the country and get a better sense of what she wants to do in the near future. Today, Denise is in her second year of graduate school at NYU Steinhardt and when she is not in our office you can find her at Adelphi University working as the Graduate Fellow for Greek Life. Denise is really excited to be part of the OSE team and can't wait to get to know our students. In her free time Denise enjoys analyzing Game of Thrones theories, creating multiple "To do" lists and reading The Chronicle to keep up with the latest Higher Education trends.